This criminal activity is not really worth the time and effort since you’ll lose honor and the horse won’t probably sell that much at all. However if you still want to do it, the fastest way is to ride alongside the unsuspecting victim and jump to his horse. 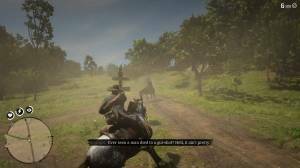 After hijacking his horse, you just need to whistle to your own horse so it follows you then ride away. 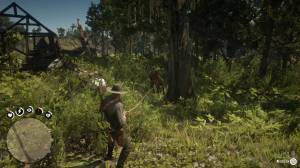 You can also lasso the rider but that will spook the horse as well and you won’t be able to give chase to the horse unless you hogtie or drag the rider until he dies. If you release the rider, he will flee and become a witness which will cause unwanted problems. Another method is quite similar to robbing ordinary folk. Since these strangers are moving, you’ll have to call them out first to stop them then declare your robbery. Some may ignore you and repeated callouts will cause them to flee. Some of these potential victims carry a weapon with them and will fight back so be prepared for a shootout. 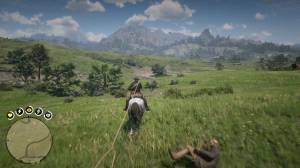 The gunfire will usually spook the horse so you’ll have to chase it then use your lasso to stop it. Keep pulling it and attempt to calm it. Avoid approaching behind it since it can still kick the daylights out of you. 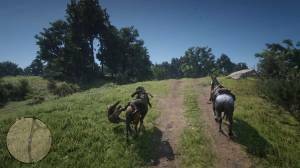 Mount the horse after calming it and you’ll be able to ride it back to the stable.